In June 1943 Irene's family was rounded up and sent to the Westerbork Camp from Amsterdam. They were there almost a year, barely avoiding being sent to Auschwitz concentration camp, but their luck eventually ran out and they were sent to Bergen-Belsen concentration camp where they lived almost 12 months. It was here that Irene last saw her Amsterdam neighbor Anne Frank. In January 1945 they were liberated because of their fake Ecuadorian passports, exchanged for Germans being held by the Allies. Their freedom came at a great cost as Pappi died on the train leaving Bergen-Belsen and Irene was separated from her Mutti and Werner in Switzerland and sent on alone to a displaced persons camp in Algeria. Camp Westerbork (the Netherlands): Between 1942 and 1944, Westerbork served as a transit camp for Dutch Jews where they were housed until deported to extermination camps. Every Tuesday Jews were put on the train and sent to concentration camps like Auschwitz and Bergen-Belsen. The Monday night before, when the names of those being departed were announced, were the most traumatic for Irene and her family. 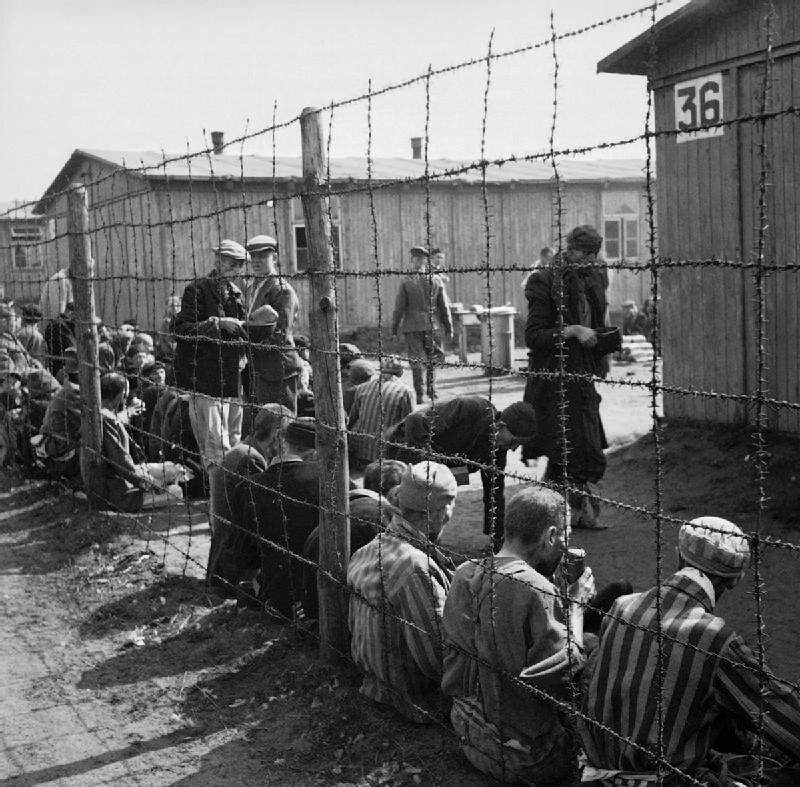 Camp Bergen-Belsen (Germany): Irene and her immediate family were in Bergen-Belsen concentration camp from 1944-1945. This photo, taken by an Allied aircraft, shows a roll call in the Star Camp section of Bergen-Belsen in the fall of 1944, the same time that Irene's family was there. Camp Bergen-Belsen (Germany): This photo, taken at the camp's liberation in spring 1945, shows the large pile of shoes where Werner worked. Camp Bergen-Belsen (Germany): This photo, taken at the camp's liberation in spring 1945, shows a portion of the Star Camp where Irene's family lived. Vitek, the traumatized Polish boy who Irene came to care for at Camp Jeanne d'Arc in the displaced persons camp in Algeria. Algeria (1945): Irene gains enough weight that she feels she needs to go on a diet. Displaced persons camp Jeanne d'Arc (Algeria, 1945): Irene (front row, far right) with friend, Mieke, to her right. Algeria (1945): Irene (center, standing) with friend, Mieke, to her left and other youth.